veggie capsules easy to swallow. This is a great product for cleansing the colon and worth the money. A good idea to use this with a parasite or other pathogen killing product, to remove the toxins they release from the colon/body. Very happy with OXYPOWDER !!! It works wonders. I feel so well after the evacuation and it is without effort or pain! I HAVE NEVER SEEN ANYTHING SIMILAR TO THAT . I used to suffer so much from constipation that now it feels like I am flying !! By not evacuating properly I used to have many issues such as bloating, lightheadedness and general disconfort. I now feel free ! Excellent intestinal cleaner, it does not dehydrate. Personally I did not even get any unpleasant side effects like farts or spasms. I produce little hydrochloric acid in my stomach so I would take it by adding a little non-filtrated raw apple vinegar along with the distilled water as advised by Dr Group, creator of Oxypowder. 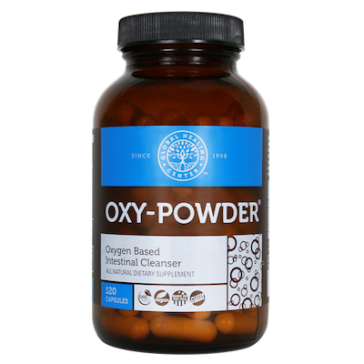 If you want more detailed information about this product, please search over the web for the manufacturers official page by inserting "Global Healing Center Oxy-Powder" or contact our customer service. Im pretty happy with the product, it clearly works. For me it just seems to work a bit too quickly: if i take it when im going to sleep, i ll wake up after some 5hrs and need to get to bathroom.. However the product does what its promised to do. I completed a 10-day cycle with the optimal dose of 3 capsules. No cramps, you feel clean and your belly deflates. After a month I will begin a new cycle of intestinal detox for another 10 days. One of the best cleansing methods. 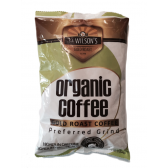 One of the most effective intestinal cleansing methods I've ever tried. It does not cause any discomfort and you get a feeling of « complete emptiness » at the end of the treatment. It should definetly be utilized as periodic spring cleaning. Recommended. Start by taking 4 capsules with an 8 oz. glass of purified or distilled water on an empty stomach before going to bed. If you do not achieve 3 to 5 bowel movements the following day, increase your serving size by 2 capsules each night until 3 to 5 movements are achieved. Continue this quantity for 7 consecutive days. Drink plenty of purified or distilled water while taking Oxy-Powder to help remove toxins. You can also add the juice of half a lemon into your water to boost Oxy-Powder’s effectiveness. 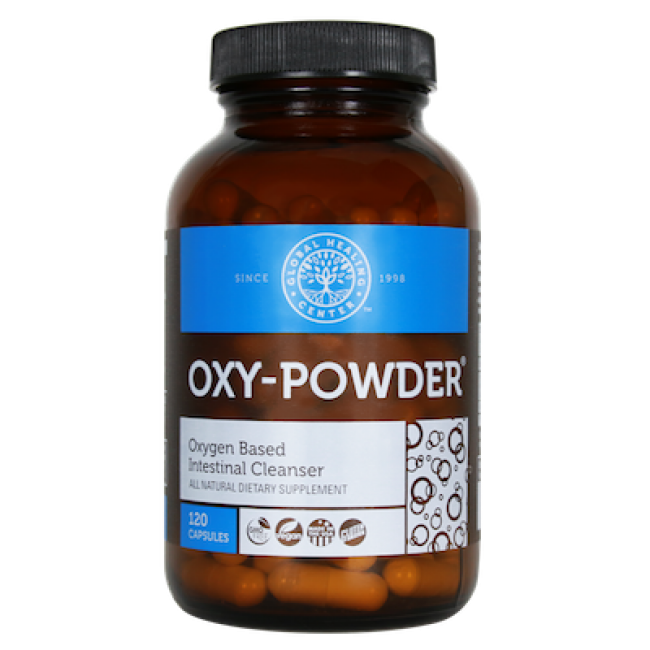 NOTE: Oxy-Powder® works with the hydrochloric acid in your body (stomach acid). If the level of hydrochloric acid is below the norm, it can hinder the cleansing effectiveness of Oxy-Powder®. If you do not reach 3 to 5 evacuations within the third day of taking Oxy-Powder®, you may need to squeeze half organic lemon in 250 ml of distilled or filtered water while taking Oxy-Powder ® at bedtime. Maintenance dose: Use the same amount of capsules you used for your cleanse two to three times per week or as needed. What you’re looking for is the number of capsules you will need to achieve 3-5 bowel movements the following day. This can be taken indefinitely without it becoming habit forming or harmful to your body. Continuing with the maintenance helps keep your intestinal tract clean and prevents toxins from being absorbed into your body. It also provides your body with a steady supply of beneficial oxygen. Ozonated magnesium is the only form of magnesium that is capable of releasing nascent oxygen into the digestive tract and bloodstream to support your digestive health. Oxy-Powder® provides a steady, controllable stream of oxygen into your body over at least an 18-hour period. Added as a flow agent, Dr. Group revolutionized the supplement manufacturing industry by refusing to add toxic fillers, binders and excipients like magnesium stearate to his products. He researched many substances and developed and tested all natural approaches and replacements using either organic diatomaceous earth or organic acacia gum. Unfortunately, manufacturers are still using cheap, toxic compounds in their formulations. Vegetable capsule encapsulate the powdered formula of Oxy-Powder®, and take the place of standard drug capsules composed of protein from bovine, porcine, equine, and even fish. Vegetable capsules can be made from cellulosic raw materials such as agar, nature gum, carrageenan, pectin, or konnyaku. I was advised to use it in combination with a detoxifying program and it seemed to me like a good product. 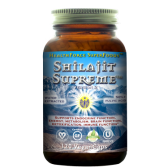 It is effective and after finding the right dose for yourself it does not cause neither intestinal cramping like usual laxatives nor dehydration.